Welcome to Sunrise Labradors. We are family run operation located in Yakima, Washington, where we have over 300 days of sunshine a year. Our home has a beautiful view to the East, giving rise to the name Sunrise Labradors, where we sit on our front porch on many occasions, drinking coffee & watching the Sun rise over Yakima. All of our dogs are AKC registered. We started out with a seven week old pup that we named Charlie, our Fox-Red Yellow Lab that is Apricot to Red in color, & was born on Halloween. 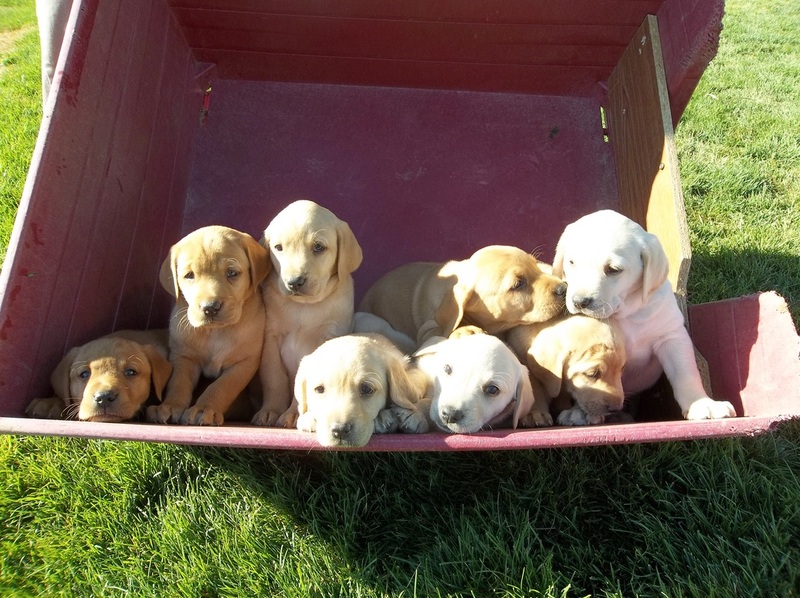 Today we have Yellow, Fox-Red & Chocolate Labradors that throw Black, Chocolate, Fox-Red, Yellow & White Labrador puppies. 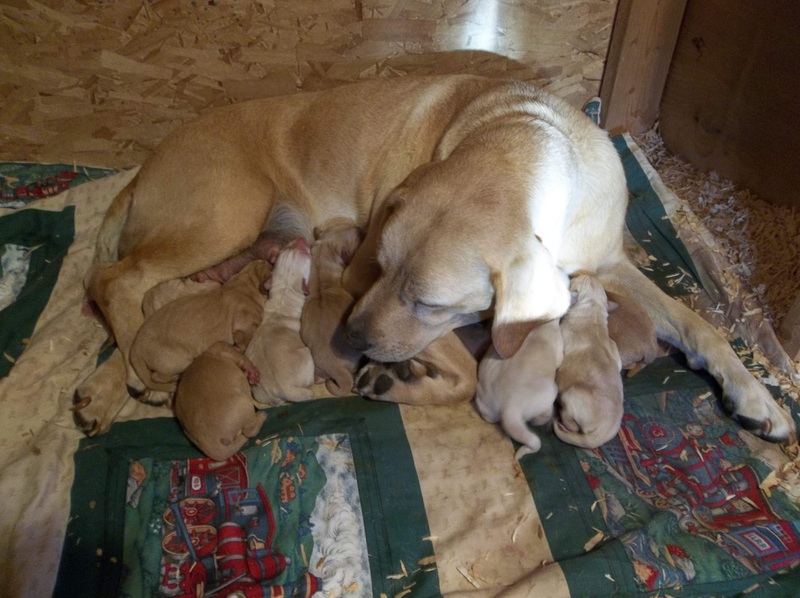 Few things in life are more exciting than to experience the birth of a litter of Labrador puppies & to be a part of that whole miracle of life experience as it happens. 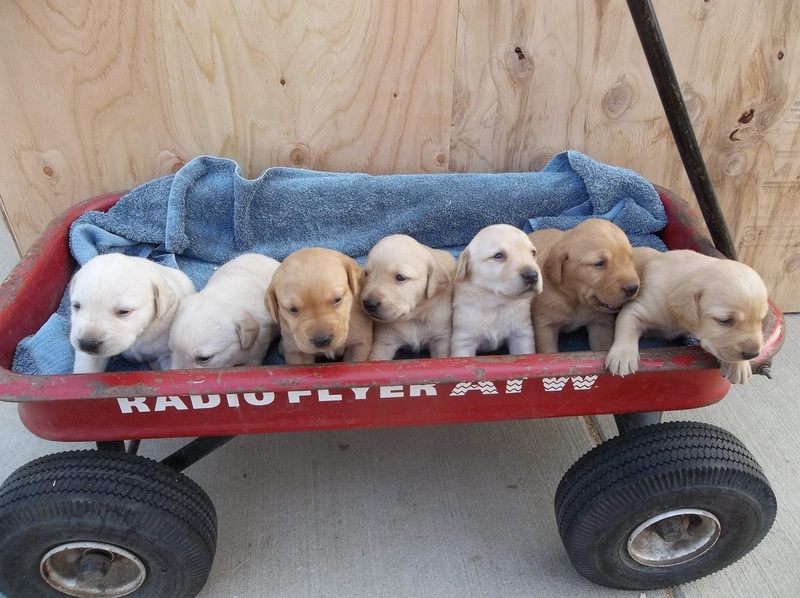 Of course, when they are four to seven weeks old they are wonderful bundles of energetic joy & excitement, exploding all over our yard, that just can't seem to get enough attention! And each one with a very distinct, unique personality. Its my personal belief that God gave us dogs as an example of how we should be relating to Him. I love the bumper sticker that says "I wish I was half the man my dog thinks I am." My dogs absolutely worship me, & I often wonder, where do they get that from? Loyal & Faithful are what comes to my mind when I think of my dogs. They are truly man's best friend!